Dexter is our hands down favorite show! We discovered it a few months ago and have become addicted. It's our favorite thing to download on Apple TV! If you are looking for a show, give this one a chance--- you will get hooked fast! Summer is my ALL TIME FAVORITE time to watch TV. I never feel guilty doing anything in the summer!!! Those are my current shows. Don't even get me started with the Fall line up. I'd be ashamed! Now I have a slight confession, when I say I "watch" these shows, most of the time my eyes never hit the screen. 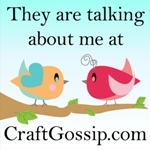 I am "watching" them while cleaning the house, or sewing, or cooking or crafting. Rarely do I actually sit down and WATCH with my full attention. It's a curse, but I am programmed to multitask while TV watching. Poor Dan... no wonder he won't watch with me. To be so family oriented you watch some trashy shows. Not sure I can be friends with someone who watches that much TV. Ha Ha! It's so nice to have a TV buddy who gets it! Hey Gillian! 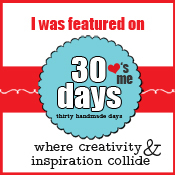 Would love to see some of your back to school ideas - you are the most creative mom I've ever "met"!